Coolest computer related series of images you'll see today. 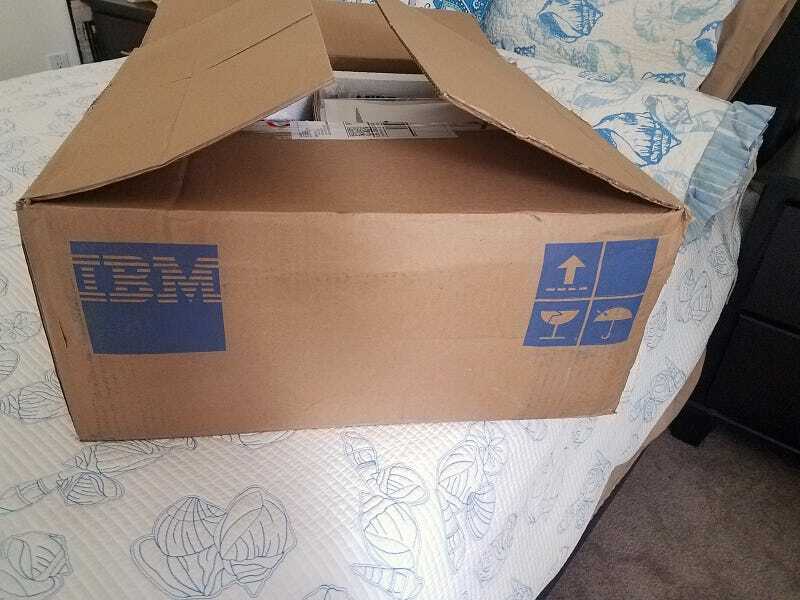 An IBM Selectabase II, new in box! Contents laid out. Power cable, hard drive caddy, bezels, some papers + manual and diskettes. The dock, wrapped in plastic. You can add a 5.25" disc drive and various IBM Ultrabay drives from the 90s. Yeah, that’s right. ISA + PCI slots in docking station. The cards I will use... Matrox Millennium G450 32MB PCI + Creative Sound Blaster 16 + WaveBlaster II. Unfortunately the dock didn’t like the sound card so I ended up not using it. IBM Selectabase 600 is required for the ThinkPad 600 series to work with the dock. All docked! That’s a 600E Pentium II 366MHz, 288MB RAM, 60GB hard drive with Windows 98SE on it. The input devices, speakers, and monitor.